It is often said that managing enterprise risk and micro risk is about finding the needle in the haystack. 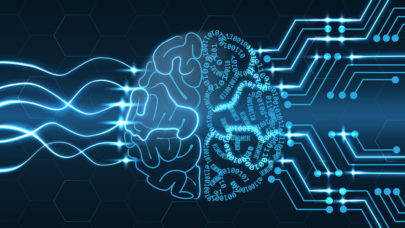 Predictive analytics uses powerful computers with large memory and storage to eliminate 90 percent of the hay, those “easy” decisions that a computer can handle effortlessly. The modeling systems then score the remaining 10 percent, prioritizing the activities of the human analysts and investigators to do what they do best, which is to make the optimal decision. That entails such things as finding the best risk/reward trade-offs for new customers, avoiding fraudulent insurance claims, identifying fraud or abuse in government programs, stopping questionable transactions, and optimally pricing assets against the degree of risk. Predictive analytics is the discipline that uses computational techniques to search for ways to optimize business decisions. Applications in financial services include front-end customer acquisition analytics, offer selection, relationship management, pricing optimization, risk management, fraud management, and actuarial analysis for insurance. Financial services is the second-largest commercial high performance computing (HPC) vertical market, second only to manufacturing. It is also one of the fastest growing, and as a result, it is a critical part of our High Performance Business Computing (HPBC) methodology. Within financial services, high-frequency trading is the most well-known application, but there are several other areas where HPC is in use. Intersect360 Research tracks a number of broad application areas as part of the financial services vertical. These include trading, both high-frequency trading and algorithmic trading; risk management, at the enterprise, portfolio or customer level, as well as actuarial analysis for insurance; pricing and valuation of individual securities, derivatives, and compound derivatives; and business and economic analytics, including modeling, simulation, and decision support. Financial services companies take many forms, from large, multinational, multiline organizations to regional boutiques. An individual company might run all or none of these application types. (You cannot guarantee that a given bank runs HPC risk management applications any more than you can guarantee that any manufacturer runs HPC computer-aided engineering simulations.) But among these application types, analytics, particularly predictive analytics, is important for its potential to be leveraged in multiple ways. There are several different levels of predictive analytics techniques used, with increasing levels of sophistication. At the simplest level, traditional techniques such as regression, linear modeling, rules-based algorithms and decision trees are used. More complex techniques such as neural networks and machine learning are at the next level. Newer techniques include text analysis (where, for example, notes entered by a service representative after a customer calls in can be mined or sentiment can be coaxed out of tweets) and social network analysis (looking for patterns in the relationship between a customer and provider, in context of all other customers and providers). These individual techniques can be combined into compound engines such as net lift (or uplift) modeling, where two or more scenarios are analyzed simultaneously to trace all possible outcomes and choose the right treatment (or lack of treatment) for a particular situation. There’s also ensemble modeling, in which a suite of models are run and the final response comes from a weighting of the individual models’ results, and where the model-weighting can also be refined based on the situation. We expect that analytics will be a growing market for what we call High Performance Business Computing (HPBC), particularly in financial services and related disciplines. There are three legs to the stool supporting this belief. First, there is an explosion of data becoming available, both internal and external, to organizations. Second, there are methodologies to analyze and make sense of this vast amount of data are being developed and improved every day. The third leg of the stool is the availability of cost-effective and accessible systems (in terms of computational speed, data storage, memory) to be able to do something useful with it. Put these three legs together and you get a large potential opportunity for HPBC. The systems required to perform predictive analytics range from Excel using a SAS dataset on a laptop computer, all the way to custom-designed, self-tuning engines running on large clusters or in-database, and everything in between. On one extreme, predictive analytics is clearly using high performance computing. On the other extreme, it clearly is not. Where to draw that line right now is less important than the conclusion that more and more companies are moving towards these sophisticated techniques. Industry leaders have their own internal teams, and this capability provides a differentiating competitive advantage. Those who have not made the switch will be evaluating these techniques and systems with more interest as more and more success stories are written by those using predictive analytics. Companies moving to predictive analytics will get there in one of two ways, either building teams internally or by hiring third-party providers to develop their systems for them. These third parties can use the principal company’s systems, or can run the analytics on behalf of the principals, sending back scores and metrics to be loaded onto the principal company’s internal database. Financial institutions do not sell widgets, take in revenue on those sales and pay a cost of making the good that they sold. While manufacturing companies can build a better product (better quality at a better price) using digital manufacturing, financial institutions’ assets are monetary in nature. In contrast to a manufacturing organization, financial institutions make their money on the spread, or difference, between what they earn on their financial assets and what they pay for their liabilities. This spread also has to be enough to cover their operating expenses, which generally include credit losses, fraud losses and fraud management. Assets, in this sense, are insurance policies that provide premium income. They can be loans that provide origination fees, finance charges and service fees. They can be investment portfolios that provide management fees or trading revenue. Liabilities could be deposits or debt where the institution is paying a rate of interest for the use of the depositor or investor’s money. A financial institution maximizes this profit calculation through two mechanisms: risk management and pricing optimization. Risk management encompasses the institution’s initial decision to originate a loan or insurance policy, their ongoing behavior analysis (e.g., fraud, delinquency, late payment, increased claims) and exposure management, like not renewing a policy or implementing line reductions. On the other side is pricing optimization, which includes the initial pricing decision, whether to do special offers or provide discounts to entice profitable customers to stay or deepen their relationship, and the implement ion of the penalty pricing (e.g., if the customer goes over their limit or pays late). The analytically elite companies have these types of analytics as part of their DNA. They are constantly loading new transaction or behavior data, evaluating assumptions, calibrating models, rebalancing among methodologies, reweighting results in ensemble infrastructures. “Constantly” used to mean monthly not too long ago. Increasingly it means weekly, daily or even as transactions are initiated. Although financial services institutions are among the most advanced users, the potential benefits are available to many business areas. Already, predictive analytics are also making a difference in non-financial markets. For example in the government arena, it’s being used to reduce waste, identify fraud in government programs, and uncover tax fraud. In health care, it’s being employed for cost management, system fraud, and more accurate or quicker diagnoses. Finally in telecom, predictive analytics is being used to minimize customer base churn. On that last point, basically any company has groups of customers it would like to manage, both in terms of customer relationship management (CRM) issues like customer acquisition and turnover, as well as tailoring product portfolios and pricing to different categories of customers. Because of its broad potential applicability, predictive analytics should continue to be a significant growth driver for HPBC markets. The vast amount of data being collected by companies virtually guarantees that there are some valuable nuggets of information waiting to be brought to light that can have a material impact on profitability. Finding these needles in the haystack is a challenge, but predictive analytics provides a way for companies to take advantage of them. Sue Korn is a senior analyst at Intersect360 Research specializing in High Performance Business Computing (HPBC) applications, and a 20-year veteran of the financial services industry. In her role at Intersect360 Research, Korn spearheads the company’s analysis of the drivers and barriers of HPC adoption in business environments and the growing role of HPBC applications.